How much a year of holidays and birthdays of relatives, colleagues, friends. 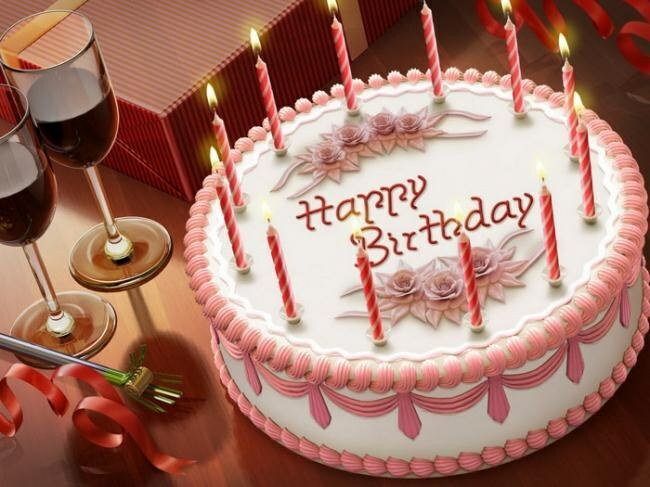 Often we are puzzled over how to organize a festival to please and surprise the birthday celebrant. Practice shows that the best decoration for the ceremonial hall are the wall posters with congratulations. The more that creating them is not difficult, the cost, they do not require virtually no, and thus may represent a whole masterpieces. Prepare the working place. You will need a big Desk, white drawing paper, color paper, color pictures, magazines, paints, pencils, markers, gel glitter, confetti, glue, brush for paint and glue, pictures of the honoree. Put a sheet of drawing paper on the table, attach a small cargo of sheet edges at the perimeter and corners of the paper. In the upper part of the future of the poster sketch congratulatory inscription in pencil. The words were smooth, use a special letter stencils. Or just draw on the line two parallel lines - lines. Paint the letters with colored gouache or watercolor. When the paint's dry, trace the letters for emphasis gel with glitter or markers of the same color. Take your chosen color pictures, photographs of the birthday boy or cut out the contour of any and always on the subject of appropriate pictures from magazines. For that poster was striking, use a few large pictures (photos) and lots of little ones, or replace the small pictures painted with stars, flowers, drops of different colors and sizes. Carefully grease the back side of the photo with white glue, apply in the prearranged place of drawing paper. Try to make a nice theme song. When the picture dries, you can draw for them frames. Under the pictures is appropriate to comply with the relevant signatures, and can be in the form of humorous poems or epigrams. Manufacture of colored or wrapping paper, foil with hole puncher colored confetti. In conclusion, scatter, and then stick a little confetti on the remaining, unfilled text, and images field of drawing paper. Let your poster glitters and shimmers - it'll add to the festivity. The room where celebrating a birthday, decorated with balloons and colourful posters. Pictures, of course, you can buy it, but drawing is more of a pleasure than work, so poster try to make it yourself. Prepare everything you need for work. In addition to paper and paint prepare additional decorations that will not interfere in the festive picture. It can be Christmas tinsel, shiny stars and confetti. A sheet of drawing paper put on the table and secure the corners. On a normal notebook piece of paper to make preliminary sketches to determine the composition and elements of drawing. Pictures intended for the decoration of walls, birthday, men, women and children can be different. But there are universal images which will suit everyone regardless of gender and age. Beautiful cake, balloons, boxes with gifts and bright caps is to draw on the universal poster. 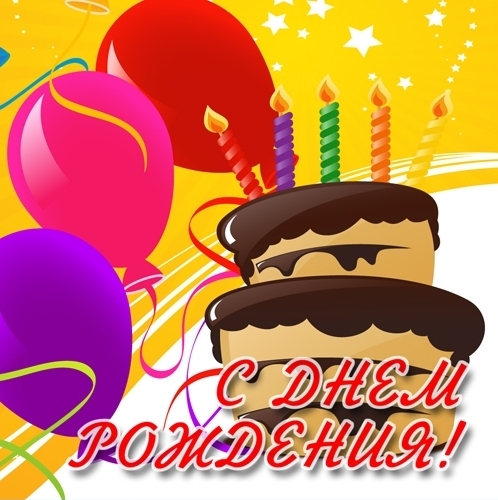 First make the inscription: "happy birthday, (name of person)!". Mark the location of the letters in pencil. You can use a stencil, but it is possible to do without it, just watch the size of the letters with a ruler. Balloons are easier to draw using a compass. Draw a bunch of colorful balloons. For each element select the location in which you will not paint over the highlight, it needs to be on one side. Balloons let go to float at the top of the poster. The middle of the poster is a graceful table with a delicious cake. Tablecloth, draw a short, it will draw the edge carved with a festive ornament. Next to the cake draw on the table a few cones-caps. Under the table place a pile of colorful boxes with gifts. They should be square or rectangular, large and very small. Don't forget to draw on each ribbon with a bow. Pencil sketch is ready, start painting and gluing decorative details. Take bright gouache or acrylic paint, watercolor will look pale on the poster. Painting bulbs, don't forget to leave white dot highlight. Letters also can be colored. Leave the white tablecloth to its background is well visible the cake and caps. Round brush, draw a border and carved pattern on it. Cake paint looking at a photograph of the confection, will not prevent a abundance of cherries, strawberries and pieces of fruit. Portray their pure rich colors. The cake can pour the chocolate color, wait until the coat dries, and the top white gouache to paint the whipped cream. Berries and fruits will be the third layer in your drawing confectionary masterpiece. Caps and boxes with gifts Doodle using all the available colors in the palette except the dark. First paint the whole object, and after the main tone is dry, draw patterns and ribbons. Stay away from their works and mark the places that look empty. Stick to these plots confetti, glitter, stars, foil.